The global aviation market may have just experienced its most profitable period ever. Yet, with mega airline mergers and acquisitions and the increased proliferation of low-cost carriers on both short- and long-haul flights, airlines are now having to focus their efforts on their bottom line – and that means their core business processes. One of their biggest cost areas – the maintenance of aircraft – is under the spotlight as airlines look to outsourcing to remain competitive. This is opening up huge opportunities for maintenance service providers – and the market is heating up. 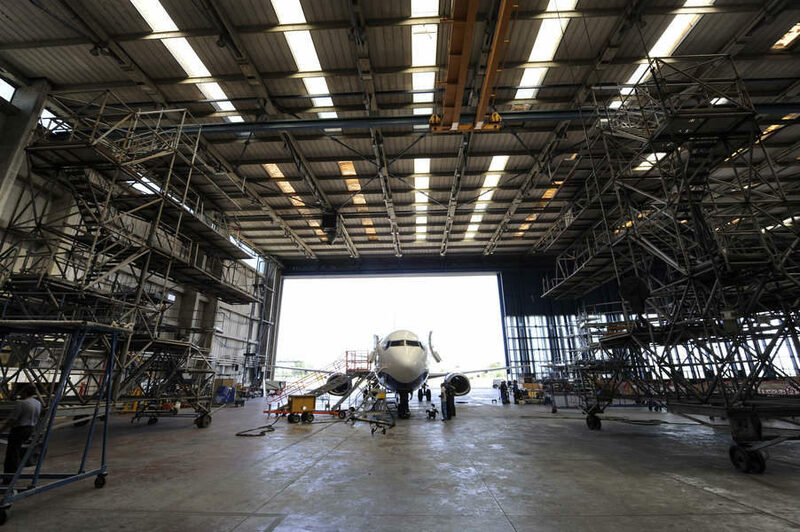 The latest Oliver Wyman study predicts continued growth for the maintenance, repair and overhaul (MRO) industry until 2028, with the value set to rise to $114 billion globally – a jump of nearly 50 percent over 10 years. Now, OEMs, by exploiting their experience in designing and building aircraft, are targeting in-service support contracts to compete with independent MROs and unlock more revenue through aftermarket services. OEMs are in a unique position in being able to change the original maintenance program written for each aircraft depending on data analysis. By having full control from design to manufacture and operational data, OEMs can paint a complete picture of the asset and use this to analyze performance. As a stakeholder, OEMs can gather enough reliability data to change maintenance plans, removing the need for unnecessary maintenance work. Despite this seemingly dominant position, the stage isn’t set for OEMs to sweep up the entire MRO segment. OEMs do not have the same track record of working for leading international airlines, have had trouble accessing maintenance information from the airlines and haven’t accumulated anywhere near the volume of information retained by MROs. There is also still some work to be done before OEMs can prove they can cost-effectively support an aircraft throughout its lifecycle. MROs can use this head-start, not only to differentiate themselves from OEMs but other MRO competitors as well. Efficiency is key to maintaining customer relationships and differentiating services from the competition – especially in such a saturated and competitive aftermarket service environment. Airlines are in the pilot seat, and their demands and expectations increase year-over-year in terms. They also want faster maintenance and improved cost control – not something OEMs are well-placed to provide. Improving maintenance operations with the help of new technologies will help MROs stave off competition from OEMs. Take the example of leading MRO services provider HAECO. Unlike most OEMs, the company’s mobile capability is able to set up a team to work on complex composite materials used on new and advanced aircraft no matter its location. This ties together mobile expectations and mobile maintenance with a team that can work anywhere, anytime. Another differentiator for MROs is price point. While OEMs produce industry-leading equipment, their MRO services usually come with a price tag to match. Many airlines don’t want to be locked into expensive full-service contracts – they want the freedom to select which areas of maintenance operations and ‘wrench turning’ they require. Since OEMs offer overall maintenance packages rather than smaller repair jobs, airlines are wary of to what level the full lifecycle support costs could spiral. MROs, on the other hand, have proven they can return an aircraft back to service as quickly and safely as possible at minimum expense. In the short-term, OEMs will still try to persuade airlines to move to their ‘one-stop shop’ maintenance model but will come under increased competition as independent MROs ramp up their offerings. In the long-term, we’ll see an increase in the number of OEMs acquiring or forming joint ventures with MROs, as well as an increase in the number of independent MRO groups, aimed at protecting independent service providers against the dominance and offerings from the OEMs. The building of new capabilities, capacities and partnerships will be key in keeping up with the pace of change in the wider commercial aviation market. By demonstrating greater traditional maintenance service efficiency and expanding to new offerings, MROs will not only be able to compete with OEMs but quite possibly even outshine them.